You know, I've had this stuff before and it didn't really stand out in my mind all that much, which is surprising, given how tasty I found it to be this time around. 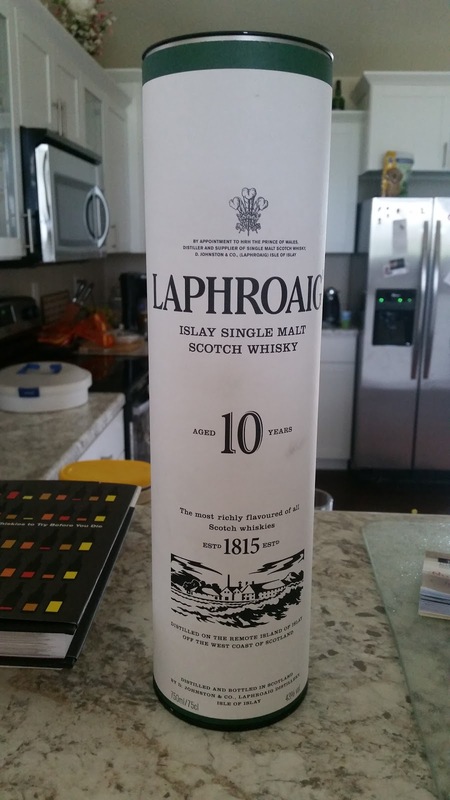 While Lagavulin might embrace the smokiness of the peat along with Ardbeg, I found Laphroaig to be a more complex dram than I was expecting. Yes, the ever present pete was evident, but it wasn't a slap in the face. It wasn't overwhelming either. It was, in fact, quite pleasant to drink. Body: It's light and floral... maybe it's my nose and it's lack of refinement, but I kept wanting to say 'honey' but instead thought maybe, just maybe, hints of maybe something like citrus peel or a crisp, refreshing fruit- maybe melon? 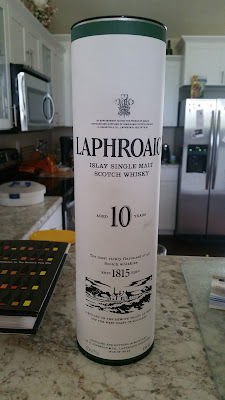 It's an Islay, so the peat is evident, but unlike say, Lagavulin or an Ardbeg, it doesn't punch you in the face. The peat seems somewhat restrained and imparts a spicy flavor instead of the overwhelming sensation of smoke. Palate: It sits lightly on the tongue- not in a weak and watery way, but just nicely. The peat takes center stage here and spices things up nicely. Finish: Not harsh- which is surprising for an Islay in many ways. The peat is there but the warming is gradual and pleasant.